Treat your tresses to a luxury pampering with products from Balmain at Blown on Vittal Mallya Road. From Silk Perfume Sprays to Volume Shampoos – you’ll find plenty to take home here! 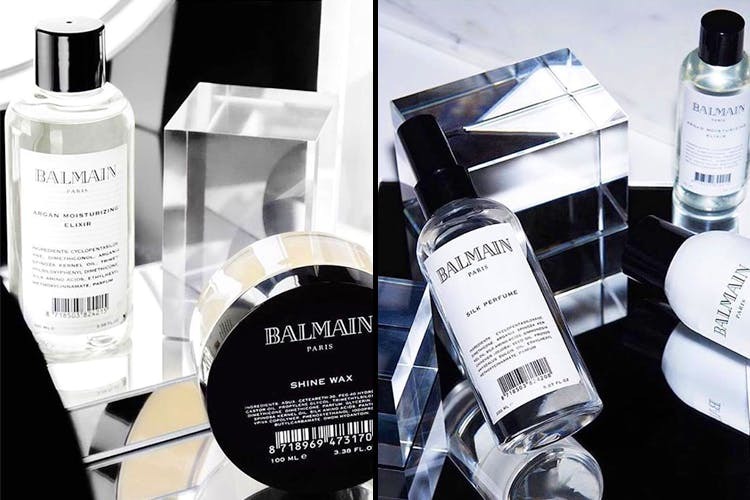 Loved by the Kardashians and a slew of other celebrities, Balmain is a Paris fashion house that launched a lineup of hair care products a couple of years ago. And while they were not to be found in good old Bangalore, Blown – the breezy, blow dry bar on Vittal Mallya Road – has now brought in the luxury products through a distributor. At the salon, you can sign up for a thorough hair pampering with these exclusive products. A hair wash and blow dry session with Balmain products begin at INR 699. We there for a trial and for our curly mane they used a moisturising shampoo followed by a repair conditioner for the wash. Then, we were propped on one of their plush salon chairs and got to work with a leave-in conditioner spray, a pre-styling cream and the Argan Oil Elixir. The final touch was the fragrant Silk Perfume Elixir. For days after the treatment, we could feel the love of the Balmain products – the hair texture got smoother and was much more manageable. We also loved that the perfume elixir that stayed in our hair and we went around smelling like a field of daisies. When you are done with your styling, you can also pick out the products you like on your way out. For basic care, they have Volume Shampoos and Conditioners for those of you with scanty hair. For dry, difficult hair they have serums and conditioners that will help in the taming of your tresses. Prices for these begin at INR 1,850 and go to INR 3,999.